Vileda Mop Active Max System - £3 Off! The Vileda Active Max Mop is a flat microfibre and cotton mop that is perfect for cleaning wood, laminate, tiled and vinyl flooring. The large pad provides greater surface area coverage and it has been specially shaped for getting into corners and along edges easily. 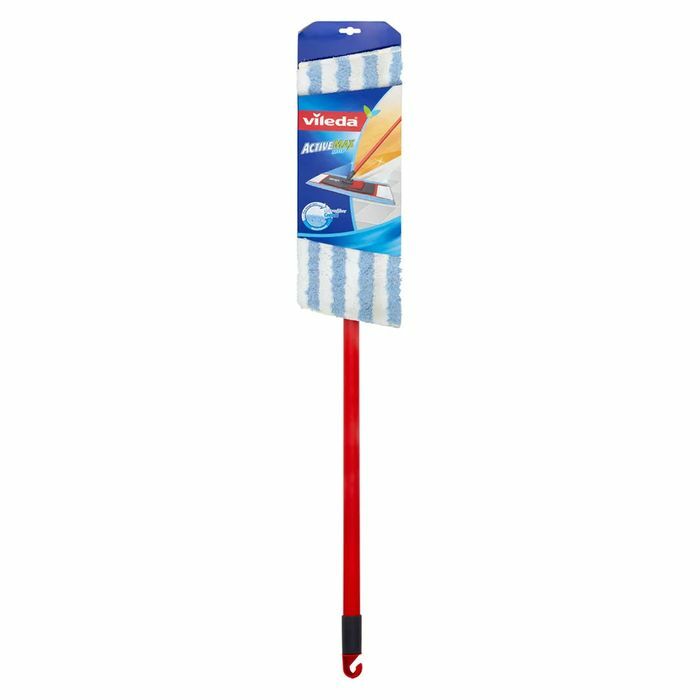 With a telescopic handle for easy height adjustment and the pad being made from cotton and microfibre for great absorbency and removal of greasy marks, this mop is ideal for use on floors around the home. The pad is machine washable and reusable time and time again.